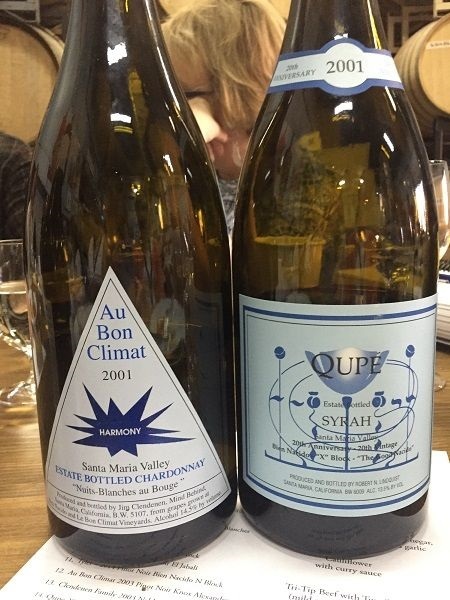 Santa Barbara County, making up the Southern part of the broad Central Coast area of California, was the region I most wanted to visit, given some of the Chardonnays and especially Pinot Noirs I had already tasted from the likes of Jim Clendenen’s Au Bon Climat. These had a rare combination of nicely-ripe fruit with brisk, fresh acidity. Since first visiting Sonoma in 2004, I have struggled a bit with California Pinot Noirs, that were too often soft, with ripe jammy fruit and maybe 14.5% ABV – losing the finesse and verve Pinot can have. The few I had tasted from parts of Santa Barbara suggested fine alternatives were available. I was also excited about Rhône varieties and especially relatively cool-climate Syrah, as opposed to Shiraz, expressions. Qupé’s Bien Nacido Vineyard 2010 in particular, highlighted not only the region’s potential, but also brought this specific vineyard to my attention. These impressions were very-much solidified by spending almost 3 days in Santa Barbara County and visiting a number of the key AVAs, including Santa Rita Hills with renowned Sanford & Benedict vineyard, Santa Maria Valley including Bien Nacido, and new-to-me Ballard Canyon, pictured above, showcasing Rhône varieties. Unusually, Santa Barbara’s wine regions, to the north of the city of Santa Barbara itself, are made up of a series of ridges of hills that point roughly East-West, near-perpendicular to the Pacific coast, as a result of a compression zone between the Pacific and North American tectonic plates. These plates are moving past each other, so most mountain ranges are parallel to the coast; Santa Barbara County is, instead being pinched. The key impact of this is that the valleys created by these perpendicular ridges are open to the Pacific, instead of being closed-off from it. That, in turn, means a lot off cool, maritime air runs up each valley and significantly cools the climates of each – given that these are in SoCal, they should be warm-to-hot climate. Instead, they are relatively cool. It is this effect especially, coupled with altitudes that can reach a few hundred metres and folded landscapes that offer cooler, Eastern or Northern exposures, that give Santa Barbara’s AVAs the opportunity to produce cooler-climate expressions of Chardonnay, Pinot Noir and Syrah than many spots further North in California. Santa Rita Hills: Fantastically-consistent quality Chardonnays, often with a taught line of acidity and some chalky or flinty minerality. But not lean or ungenerous – carrying ripe citrus or stone fruit, and mealy or baking spice oak. Finesse here from a range of producers. Within the AVA, the Sanford & Benedict vineyard is the most remarkable, planted from 1971 with some vines still on their own roots. Bright, tight, refined, cool-climate Pinots can be found here too. 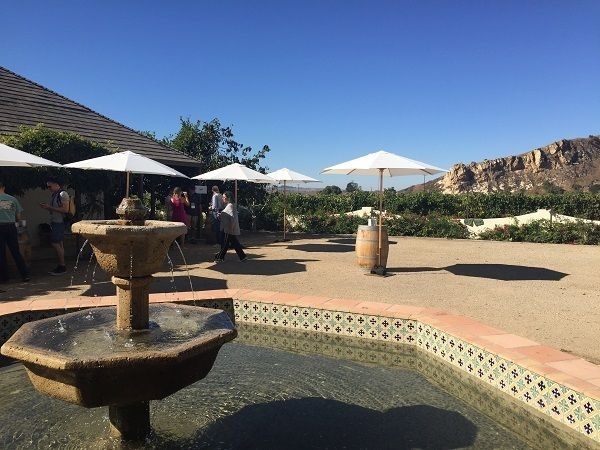 As the name suggests, plenty of altitude from the hills, to add coolness to its proximity to the Pacific, despite being the most southerly sub-AVA, within Santa Ynez. 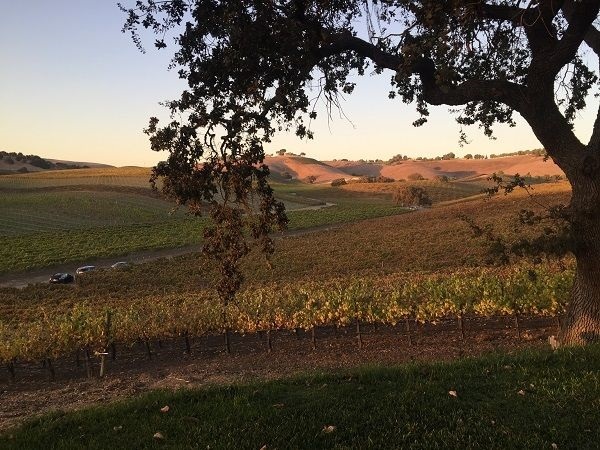 Ballard Canyon: Rolling hills provide a range of aspects to fine-tune ripening in this relatively inland sub-AVA in the heart of Santa Ynez, further inland than Sta Rita Hills. Syrah is a big focus here and there are certainly some fine wines being produced. A good-looking Roussanne or two as well. Santa Maria Valley: In the North of Santa Barbara County, and led by the Bien Nacido vineyard first planted in 1973, the AVA has both lower, valley-floor plantings and higher hillside plots that offer a range of ripeness. Generally, riper and fuller Chardonnays and Pinot Noirs than Sta Rita Hills, but still with bright, refreshing acidity. Also, particularly exciting Syrah. 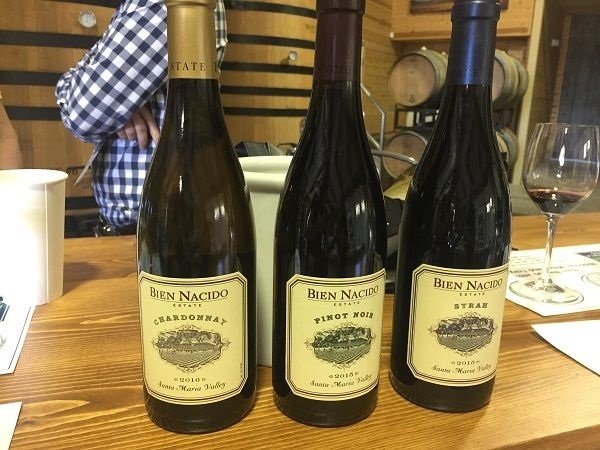 Bien Nacido itself is the most widely-named single vineyard on California wine labels, with over 40 producers making a bottling, and offers not only valley-floor and hillside blocks, but also a raised, gently sloping bench that they believe is particularly fine for Pinot Noir. Bentrock vineyard is noteworthy too. 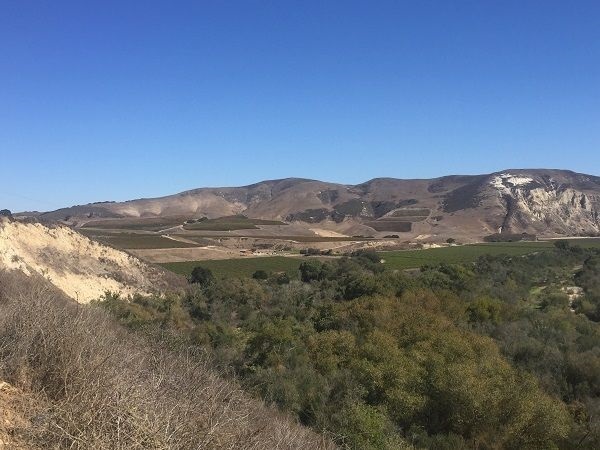 Santa Ynez Valley: Larger AVA covering the Southerly vineyards in Santa Barbara, incorporating Sta Rita Hills, Ballard Canyon and other sub-AVAs, Los Olivos and Happy Canyon. Allows for blending across the wider region and covering vineyards not in the more focused AVAs, but I didn’t get a sense of a particular identity. Santa Barbara County: Largest AVA, including all others, again allowing cross-regional blending and picking up odd vineyards not included in the other AVAs. 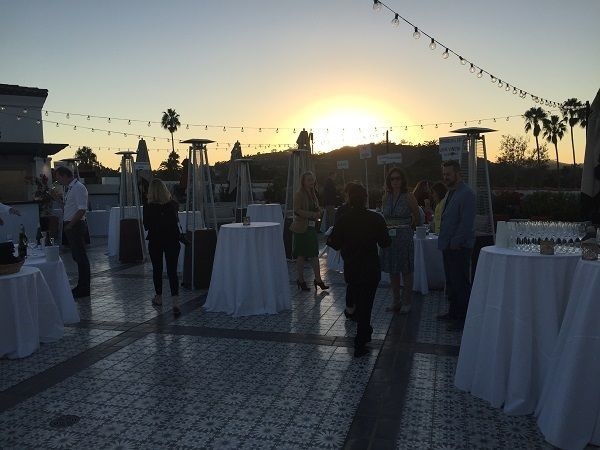 Our trip kicked-off half an hour after my arrival, at the rooftop terrace of the Hotel Californian, giving a panorama from the ocean, over Santa Barbara city, to the hills behind. A breathtaking start to the trip. Several wineries from Santa Barbara and elsewhere on the Central Coast came to show us their wares. Clones 4, 76, 96 and Wente, planted on soils with fossilised seashells, shale and limestone, and sand. 6.5 months in 21% new, 83% French oak. 5.9 g/L TA, pH 3.46, 14.4% ABV. $22 / bottle RRP. 100% Chenin Blanc from 3 vineyards: Martin Brothers, Shell Creek and Jurassic Park, which are the oldest on Central Coast, planted between 1972 and 1980. 10 months in oak and stainless steel. 5.2 g/L TA, pH 3.58, 11.9% ABV. $20 / bottle RRP. 100% Chenin Blanc on 8 acres, planted 1978 at 11×7’ density. 100% acacia barrel fermentation. $35 / bottle RRP. 100% Chenin Blanc on 100 acres, planted 1972. 100% 2nd fill French oak barrel fermentation and aged 6 months. $35 / bottle RRP. 100% Chenin Blanc from one of the oldest vineyards in Santa Ynez, Firestone. Limited time on lees and zero dosage to preserve freshness of the grape. 100% whole bunch pressed to tank, cold settled then racked. VL3 yeast fermentation without MLF, then bottle fermented and 10 months on lees, before 2 years’ post-disgorgement ageing. $40 / bottle RRP. 80% John Sebastian Vineyard and 20% Rancho Santa Rita, mostly Wente 43 and some 96 and 76. Wild yeast fermentation in mostly neutral French oak, with 11 months’ ageing. $55 / bottle RRP. 600L amphora fermentation. Very low sulfur addition at bottling. Ballard gravelly sand soils. 332 and Tinaquaic clones on 3309 rootstocks. Whole bunch with daily pumpover, then wild-yeast fermentation under CO2 gas. Pressed to tank, settled then racked to barrel. Natural MLF. 10 months in barrel. $28 / bottle RRP. Positas fine sandy loam soils. Whole bunch. Whole bunch with daily pumpover, then wild-yeast fermentation under CO2 gas. Natural MLF. 6 months in 4+ year old French oak and 2 months concrete. 40ppm sulfites added at bottling. $28 / bottle RRP. Field blend of 6 clonal selections. North-facing on ocean sedimentary soil – diatomaceous earths and calcareous. Barrel fermented and aged 16 months in 25% new French oak puncheons. MLF. No battonage. 13.4% ABV. $24 / bottle RRP. Organic grapes from all blocks; 9 clones. 20% whole bunch fermentation in concrete then 9 months ageing in 20% French oak. $28 / bottle RRP. 1Ha, South-facing plot, planted in 2005 with 667 clone, on dense clay soil. 20% whole bunch fermentation, then maturation in 33% new French oak. 13.5% ABV. $60 / bottle RRP. 15 months in 20% new, 400L oak. 13.2% ABV. $32 / bottle RRP. 80% Cabernet Sauvignon, 9% Petit Verdot, 6% Merlot, 3% Malbec, 2% Cabernet Franc. 22 months in 50% new French oak. 14.4% ABV. $50 / bottle RRP. Own-rooted vines, with Georges de Latour Clone. 14.5% ABV. $120 / bottle RRP. Paragon Vineyard, 5.4 miles from the Pacific, on volcanic clay loam and rocky maritime sediments. Stainless steel fermentation at 58F. No MLF. 6.52 g/L TA, pH 3.23, 13.5% ABV. $20 / bottle RRP. Fermented and aged 9 months on lees in concrete egg. No MLF. 7.49 g/L TA, pH 3.34, 14.4% ABV. $32 / bottle RRP. Paragon Vineyard, 5.4 miles from the Pacific, on Diablo series volcanic clay loam and rocky maritime sediments. 60% new French oak fermentation for 22 days then 9 months maturation on lees. 7.15 g/L TA, pH 3.36, 14.8% ABV. $42 / bottle RRP. Karen Ross has been California Secretary of Agriculture, based in Sacramento, since 2011. Before that, she was Chief of Staff for the US Secretary of Agriculture. 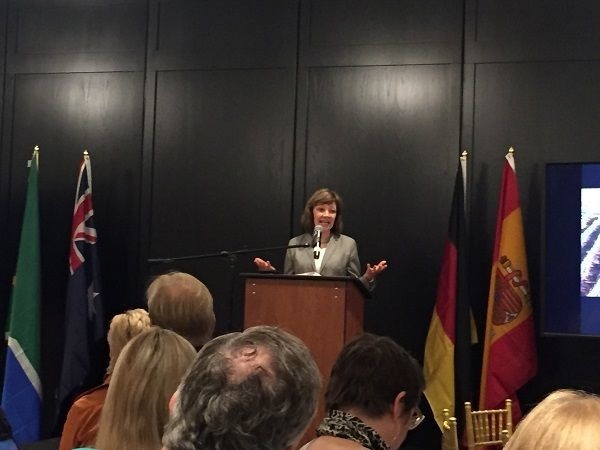 She introduced the State’s agricultural sector, while Linsey Gallagher, VP International of the California Wine Institute, to introduced wine in more depth. California is the most populous US state, largest State economy and one of the world’s top 10 economies, as well as making 85% of US wine. It is also the number one tourist state in the US, where wine and food play an important role. The farm gate value of agriculture in California was $50Bn, including $3.2Bn of wine, and the State is both the largest producer of fruit and vegetables, and of dairy products. Karen particularly picked out some specific ‘assets’ supporting agriculture and wine, including: diverse soil types (around 2,800 different types, including volcanic, sedimentary, limestone and sand), 800 miles of coastline, water infrastructure and education infrastructure – not only UC Davis but also other, smaller agricultural colleges. In recent years, they have lived through a 5-year drought, in a state of 40M people and 77,000 farms, dependent on water. Water management practices were brought in to manage the State through this challenge. California agriculture’s use of water has declined, while productivity has improved by 57%. Part of that has been switching to high-value crops that use less water, across the wider agricultural sector. The Sustainable Land Water Management Act was brought in, to ensure not only that groundwater basins can be reserves to be called on in drought times, but also that the reserves get refilled for future use. A water use efficiency program has been implemented as well. Related to that, the wild fires fuelled by tinder-dry, drought-parched land, have led to significant improvement in fire management, including $200m for better forest health such as removing diseased trees that can drive wildfires, plus soil health improvement. Climate change has also been high on the agenda, with a robust climate change plan to reduce greenhouse gases to 40% below 1990 levels by 2030, and carbon neutral by 2045. The most ambitious is reduction of petroleum use by 50%, as well as all switching all electricity production to renewables by 2045, and finally to improve energy efficiency of buildings by 50%. An example of agricultural involvement includes processing dairy waste to generate gas for energy both on farms and potentially for gas-powered vehicles. A wider, more all-encompassing land management plan has now been created, incorporating climate change, water management and now a soil health challenge. For the wine sector specifically, 2018 has been a long and slow growing season, with cool nights, suggesting a fine quality harvest. The Pacific influence is critical to cooling and this has been a classic year for that. 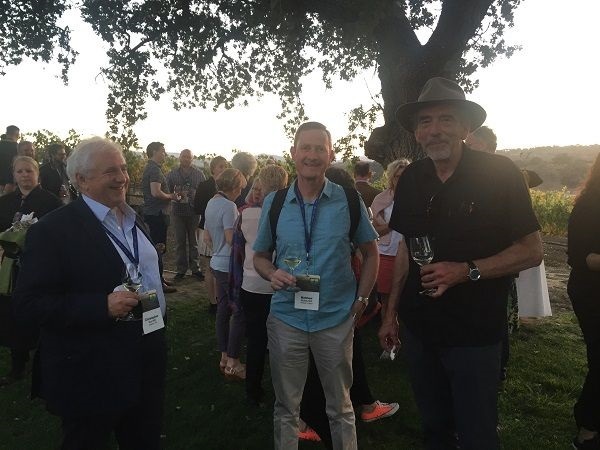 1,000 wineries and affiliated members make up the Wine Institute of California, to support the wine industry, including 16 worldwide offices, and lobby State and Federal administrations. It was founded in 1934, shortly after the repeal of Prohibition. 24 million wine tourists arrive each year, so they also partner with Visit California for Global promotion. California is the 4th largest wine region in the world, after France, Italy and Spain, producing 235m 9L cases. The State has 5,900 grape growers, 4,800 bonded wineries and 110 grape varieties across 139 AVAs. Chardonnay is the most widely planted of all varieties and Barbera the most widely planted red (with Cabernet Sauvignon at number 3). 85% of the US wine production comes from California, but 95% of exports, with the EU being the largest export area in 2017, ahead of Canada. By 2008, exports topped $1Bn. First grape plantings were in 1769, in the south of the State with 1857 seeing Sonoma planted for the first time and Napa following a few years later. 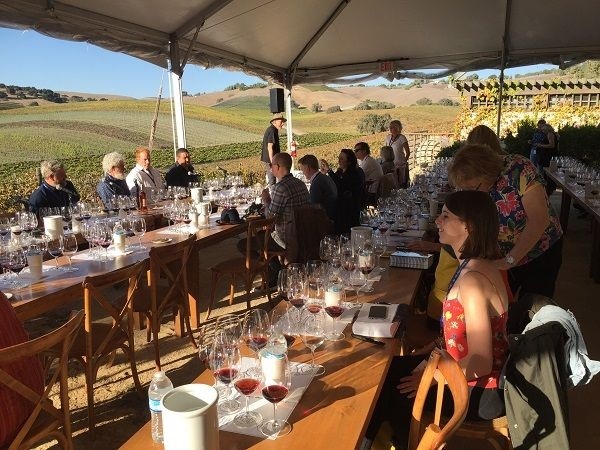 The North Coast has 54 AVAs, including Napa (4% of California production) with 600 wineries and 18 AVAs, and Sonoma County with 500 wineries and 18 AVAs. Sonoma produces more Pinot Noir than any other California AVA. The Central Coast has 43 AVAs, with Santa Cruz Mountains most famously in the north of Central Coast. 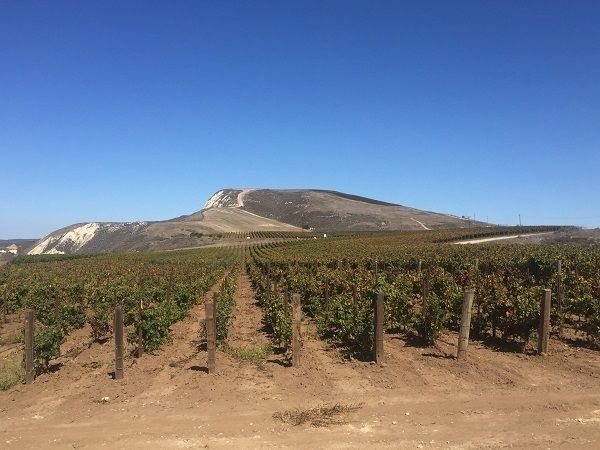 San Luis Obispo and fast-growing Paso Robles (which has just created 11 sub-AVAs, having previously been a single catch-all AVAs) are major areas within. Finally, Livermore Valley is important as the cradle of Chardonnay, with Wente winery particularly based there, and Monterey. Sierra Foothills to the east of Central Coast has 6 AVAs, that are generally less well known, but have some interest. 18 AVAs sit in the Central Valley, including Lodi for old-vine Zinfandel, but most is high volume production. Southern California around LA and San Diego also has some AVAs that are becoming more established. 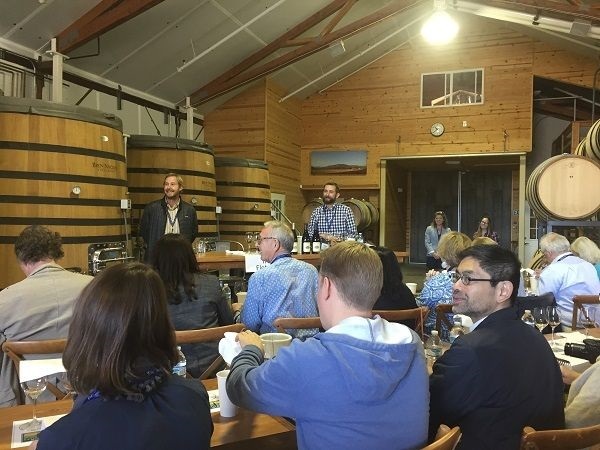 California Sustainable Winegrowing Initiative is a partnership between CWI and the California Grapegrowers Association, to help compliance with stringent environmental State laws, and drive sustainability and climate change adaptation. Sashi Moorman, winemaker at Domaine de la Côte, led this masterclass, exploring the different styles of the Santa Rita Hills AVA, with Justin Willette (Tyler, also just planted his own vineyard and is partnering with Etienne de Montille – also present at the tasting), Matt Dees (Mail Road Wines and The Hilt) and Steve Fennel (Sanford, also responsible for farming Sanford & Benedict Vineyard) on the panel. Remarkably, harvest was still going on, so all were taking time out of the cellar. Santa Rita Hills is still in the process of establishing the AVA – not just planting and making wine, but establishing the best styles for the terroir, understanding customers and building its reputation. Jim Clendenen has been the trailblazer with ABC, which has laid substantial foundations for this. Nevertheless, there are still huge challenges of cutting through the ‘noise’ of other regions, plus the ‘weight’ of the major Old World regions and most famous estates. These both squeeze the space in the upper tier of wine from a commercial perspective. Preconceptions also need to be dismissed, including ‘no vintages’ and ‘no terroir’ misconceptions. The tasting focused on the Santa Ynez River sub-section, including Sanford & Benedict, planted 1971, as Sasha believes there is something special there (though not all great wines of the AVA are necessarily from here). Sanford & Benedict was a bellwether for the AVA, though recessions in the early 1980s and 1990s / 2000s critics opinions favouring ripeness, held back both planting and terroir exploration. Because Sta Rita Hills has abundance of soil variation and rolling hills giving aspect variation, high ripeness driving homogeneity of style, has had a retrograde effect on a region capable of expressing a variety of different sites. 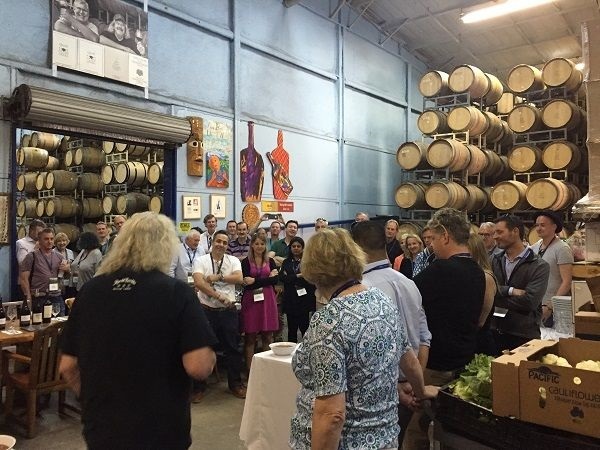 A watershed event came as a result of Calpers investment in Premier Pacific Vineyards. Though not such a good investment for the pension fund, its subsequent sale in parcels made grapes available so it became possible to make small purchases of grapes and small-scale vinifications to explore site in ways that hadn’t previously been possible. This has led to a revolution in quality and transparency in the AVA. Santa Barbara County is on the Pacific Plate and is being compressed against the North American Plate as the two pass each other, causing folding into valleys. These are unusually transverse and opens Santa Barbara to the Pacific, moderating the climate significantly. For every 1 mile East from the coast, temperatures rise +1°F which can drive significant differences across the 7-9 mile length of the sector. All the wines in the tasting are from the southern half of the appellation, with the most diverse soils, and both South- and North-facing slopes. Most soils are silica-based shale originated, with more or less decomposition and with or without alluvial deposition. Sashi planted Domaine de la Côte in 2007, on a site no-one expected to perform, and makes the wine in partnership with Rajat Parr. All clones planted were California selections, with no Dijon clones – Mt Eden, Clara and Swan – to keep the project ‘Californian’ in sense. Clara originated at Chalone, then went to Hyde for viral removal, went onto Kistler’s vineyard and thence selected for Domaine de la Côte. 3309 rootstocks were used to reduce vigour for all plantings, to ensure a 5-foot maximum canopy! Planted at high density at just under 4,000 vines / acre, these yield 1lb per vine because clusters are so small (50-60g / cluster). Grapes are grown organically and sulfur is not added during winemaking to promote diversity of micro-organisms, with sulfur only at bottling. Nevertheless 25ppm free sulfur was detected at the peak of fermentation in recent testing, most likely from sulfur spraying up to veraison (with little rain to wash it off). By the end of fermentation, this was still 5-10ppm free. At bottling, sulfur is gradually added to a stable 20ppm free. Winemaking is similar across all cuvées with the same coopers and same bottling dates, to expose site differences. Early bud-break means poor fruit set, so few seeds. To get tannins stems are therefore used. Pricing for the 3 cuvées reflects the fact that they believe La Côte is a better expression, but prices above $40 a bottle are marketing-related, demonstrating confidence in the wines. Without a quality hierarchy, this is the best method to communicate quality to the consumer. One third of revenue is sold direct to consumer at Domaine de la Côte, though that’s only 10% of volume. Tyler vineyard plots are on the top of ridges, with a lot of diatomaceous earth. They aim for organic viticulture for both owned and bought grapes, though that’s not always possible. They’re struggling to decide whether to lead with the winery brand or the vineyard, given what they believe about the importance of site. Wines are typically pH 3.35-3.55 at 6-6.5 g/L TA, and 13% ABV. 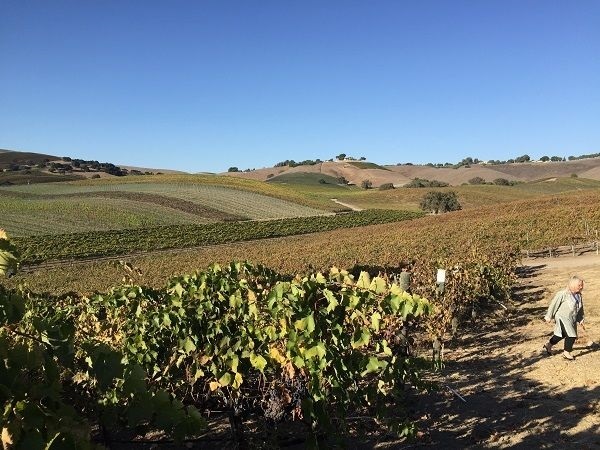 Sanford & Benedict is sold to at least 12 producers and up to 20, most of whom are making high-end wines, so this vineyard can be the vineyard ‘beacon’ for the region, where the vineyard brand can exceed the producer brand in Sta Rita Hills. 28 acres of the original 1971 vines, planted on own roots, are still in production. Martini clone through Wente and the Mt Eden clone allegedly from Chambertin were both planted. One block, T13, is then made as the Founders’ Block. Etienne de Montille entered Sta Rita Hills as the family had just acquired Chateau de Puligny-Montrachet in Burgundy, and with 28Ha of Burgundy vineyards, it was unlikely that adding some expensive Grand Cru vineyards would make much difference to their ability to grow. He needed to look elsewhere. 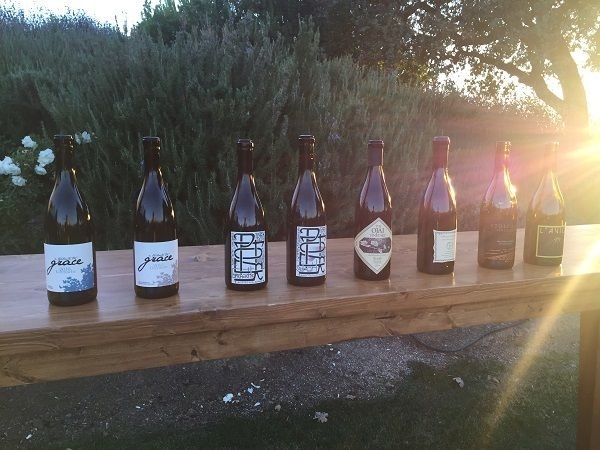 In discussion with his Californian Chef de Cave, he decided that California would provide the most interesting Pinot and Chardonnay with openness and innovation. Amongst 4 regions, Santa Rita Hills had greatest potential to create more elegant, scented styles at high quality, particularly due to its coolness. 100% whole cluster in 4 ton, open-topped fermenters. 14 months in barrel, c. 80% used – due to financial challenges. $60 / bottle RRP. Iron-rich clay top-soils. Marine sedimentary sub-soils. 100% whole cluster. 14 months in barrel, mostly used. $70 / bottle RRP. 100% whole cluster. 14 months in barrel, mostly used. $90 / bottle RRP. Organic, South to West-facing vineyard at around 500ft altitude. 7 miles from Pacific at western edge of AVA. Destemmed into 2-5 ton fermenters for wild-yeast fermentation with punchdown and pumpover. Pressed to tank and settled. 12-14 months in 30% new French oak, racked and blended. A few more months in barrel, pre-bottling. 13% ABV. $65 / bottle RRP. 828, Mt. Carmel, 667, Swan and Pommard clones. Gentle extraction, 12-14% saignée and 6 day cold soak. 6% whole cluster fermentation with 12-14 days on skins. 2nd and 3rd use French oak maturation. 13.9% ABV. $100 / bottle RRP. Sanford & Benedict Vineyard (Mt. Eden clone) and Radian Vineyard (667 clone) blend. 30-40% whole bunch fermentation, as the vineyard gets ripe enough. 12 months in 10% new, 90% neutral French oak. $65 / bottle RRP. Sanford & Benedict Vineyard (50% Mt. Eden and 50% Martini clones). Block selection for mid-palate, silky texture. 100% destemmed with 14 days on skins. 12 months in 30% new, 70% neutral French oak. $65 / bottle RRP. Own-rooted Mt. Eden clone vines planted 1971, on Elder Botella clay loam, with chert and shale. Wild yeast ferment. French oak. No fining or filtration. 13.2% ABV. $80 / bottle RRP. Clone 4 planted 2000, on Elder clay loam over shale. Organic. Wild yeast ferment, with 33% whole bunches and punch-down and pumpover. 16 months with 25% new French oak. No fining or filtration. 13% ABV. $52 / bottle RRP. Sanford & Benedict Vineyard, planted 1971, from original, own-rooted vines. 100% MLF. 14 months in 30% new French oak. 5.9 g/L TA, pH 3.5, 13.9% ABV. $115 / bottle RRP. The following wines were tasted over lunch in the Domaine de la Côte vineyards, in the Santa Ynez River Valley end of Santa Rita Hills towards Lompoc, accompanied by the very well prepared Indian cuisine of Rajat Parr’s new catering venture. Not necessarily the best pairing for an array of Santa Rita Hills Chardonnays, however! And the range of Chardonnays was very good – and quite extraordinarily consistent in the level of quality. Typing up my handwritten notes, I was very surprised to see that almost all of them scored 17 / 20 or 94 / 100! Differences in style, for sure – more or less oak influence; citrus and orchard vs stone fruit – but with consistent elegance, good acidities and ABVs rarely above 13.5%. A classy zone for Chardonnay, certainly. At lunch, I sat next to Etienne de Montille, who is a very engaging and nice guy, enthusiastic about his California projects, who brought along a not-to-be-released, 2016 first vintage of his Sanford & Benedict Pinot Noir as an extra, which showed truly graceful, elegant and sophisticated character. His wines will be ones to watch. 3D, Machado, Acin and Hapgood vineyards, vinified separately but with identical winemaking. Whole bunch pressed. No promotion or suppression of MLF. Neutral barrels. 14% ABV. $65 / bottle RRP. Sustainably-farmed, 46 year old vines on silica-rich rock soils. Pressed to 15% new French barrels for fermentation, then 15 months in barrel on lees. Racked and lightly fined. 13.5% ABV. $45 / bottle RRP. Made by husband and wife team, Peter Hunken and Amy Christine MW. Mt Eden and 76 clones in 5 acre vineyard of Chardonnay, Pinot Noir and Syrah in the Western Sta Rita Hills. Steep South-facing hillside on clay-loam with diatomaceous earth. Hand harvested and pressed, juicy settled overnight then to neutral French oak barrels for wild-yeast fermentation, followed by 11 months’ maturation. Unfiltered. <1 g/L RS, pH 3.4, 13.2% ABV. $50 / bottle RRP. Rick Longoria was a pioneer for the Sta Rita Hills region. <1 acre of Mt Eden clone planted 2008. Whole-bunch pressed, settled 24 hours then fermentation in 26% new French oak barrels, before ageing. 74% MLF. 6.1 g/L TA, pH 3.49, 13.9% ABV. $50 / bottle RRP. Made by Gavin Chanin. Gazos clay loam soils on 15-30% slope. 2 harvests, 1 week apart. Pressed to 42% new French oak barrels for fermentation, MLF, then 12 months’ ageing with battonage. Racked and lightly fined. pH 3.37, 14% ABV. $52 / bottle RRP. 4, 76, 95, Mt Eden, Hanzell, Hudson, Wente and Melville clones. No MLF. Matured in 10-20 year old French oak on lees without battonage. 14% ABV. $32 / bottle RRP. De-classified Bentrock Chardonnay with Domaine de la Côte and Rinconada Vineyard fruit. Wild-yeast fermentation. 10 months in 20% new, 500L puncheons, then 6 months in tank. 12.5% ABV. $30 / bottle RRP. Sandhi’s Westernmost vineyard, North-facing on shale and silica soils, planted 2007. 12.5% ABV. $50 / bottle RRP. Oldest, own-rooted Chardonnay in Santa Barbara, planted 1971. Gentle whole-bunch pressing to French oak for fermentation then 15 months’ ageing. 10-barrel selection. 6 g/L TA, pH 3.4, 12.5% ABV. $48 / bottle RRP. Mt Eden clone, sustainably-farmed, on elder chert and shale over clay. Wild-yeast fermentation and ageing in French oak puncheons. No fining or filtration. 13% ABV. $60 / bottle RRP. Extra wine. First vintage. Not for commercial release. Oldest, 1971 Sanford & Benedict vines. Extra wine. Made by husband and wife team, Peter Hunken and Amy Christine MW. 4 year old vines. P: Full blackberry flavour and pepper spice. Moderate tannins and length. Young vines! Justin Knock MW compèred the panel-led tasting, with 4 winemakers and 1 grape grower: Pete Stolpman (Stolpman), Adam Tolmach (Ojai), Dave Potter (Potel, who studied wine in Australia), Angela Osborne (A Tribute to Grace, originally from New Zealand, making only California Grenache), and Stolpman viticulturalist, Ruben Solorzano. Matt Kettman, wine journalist for Wine Enthusiast, introduced the Ballard Canyon region and its Rhône varieties. 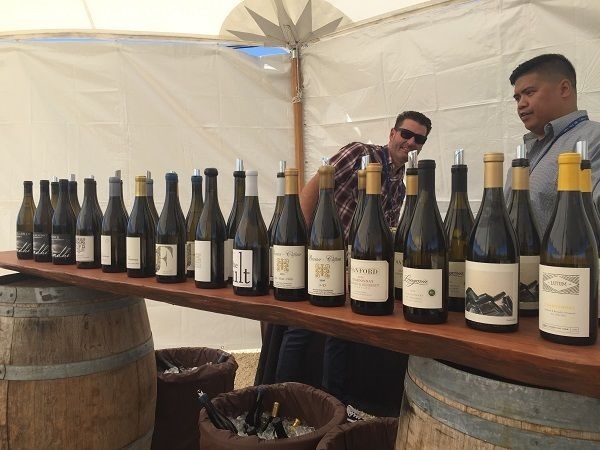 Rhône varieties are relatively rare – only 1,900 acres of Syrah are planted in Santa Barbara County vs. 7,700 Chardonnay and 5,500 Pinot Noir, for example, but its quality is the reason for discussing it and other Rhône varieties. Matt’s view on Ballard Canyon AVA Syrahs is that they combine cool-climate black pepper character with richness of fruit. For Grenache, its characteristic note is a rose or rosewater with good acidity, though there is a wide range of styles, including richer and lighter styles. Pete revealed that Ballard Canyon has focused on Syrah in its AVA red rules, to give distinctiveness, and 75% of Stolpman is planted to Syrah, though other Rhône varieties such as Mourvèdre, Cinsault and Counoise are grown in the wider Santa Barbara area. Ballard Canyon gets cool Pacific air funnelled into it, with 90°F daytime summer highs for a short period only then a drop down to 40°F in the evenings. Stolpman use very low levels of irrigation – months without doing so – so the vines have survived recent drought years. Irrigation is used only to promote vegetative growth, so stop irrigation once flowering is underway and before fruit-set, to avoid filling-out the fruit. They have also planted on own-roots, despite the presence of phylloxera, as the vines come to balance, adjust to the environment and produce small-cluster, quality fruit earlier than rootstock planted Syrah, Grenache and Mourvèdre – clusters can be half the size. Syrah especially has trouble with graft union – losing 2% per year – particularly due to different sizes of rootstock and vine. Stolpman viticulture is broadly sustainable. The big challenge is powdery mildew (downy is not present in the wider region), so will spray sulfur 3 or 4 times, and not close to harvest. Not irrigation helps prevent powdery mildew as well. 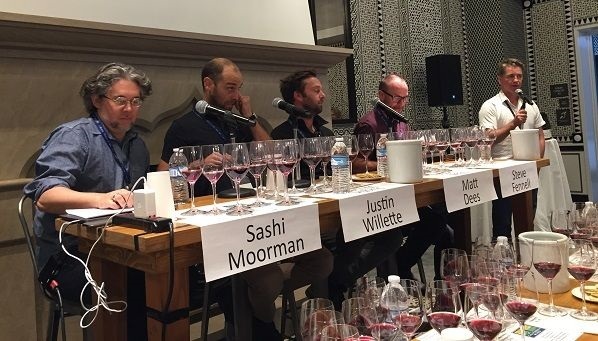 A big challenge with Syrah and Grenache is selling – particularly domestically, where consumers like it when they try it, but it is not Cabernet Sauvignon which they are familiar with. Also, premium Syrah grape prices are rising to around $4,000 / ton, which makes the economics hard to balance, as bottle prices are harder to grow at the same rate. 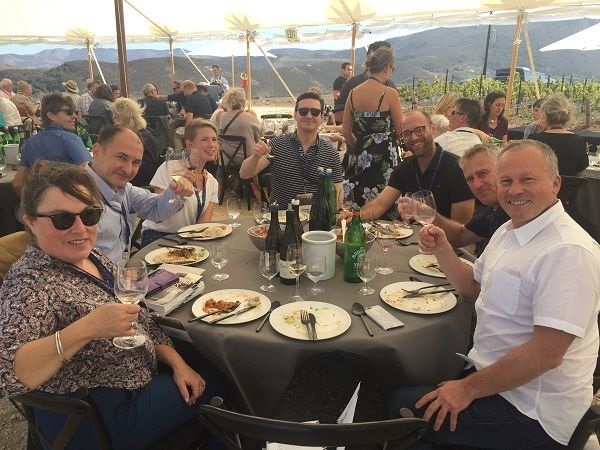 Amongst the wines, it was the pair of Stolpman estate 2016s – Hilltops Syrah and L’Avion Roussanne from Ballard’s Canyon – that shone finest for me, with an extra dimension of depth and suppleness than their peers. 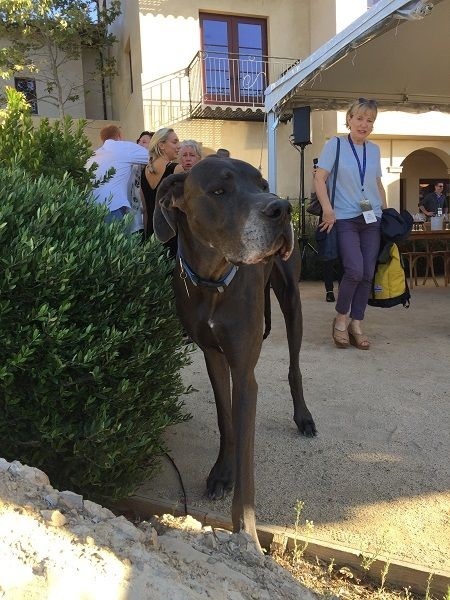 Before the tasting, we met two of Stolpman’s winery dogs, the elder statesman, Baron von Stolpman, a 17-year old black labrador, and Earl of Stolpman this 2.5-year old Great Dane, who was apparently the runt of the litter. Despite that, during the tasting, Earl demonstrated playfully, that he could hold Baron’s entire head in his jaws… A candidate for Winery Dog of the Year? South-facing, cool site for Grenache, planted with clone 362. Two harvests; one 15% whole bunch and the other 25% whole cluster, wild yeast fermentation, foot-trodden 2 times / day for 13 days. 9 months on lees in neutral French oak. pH 3.48, 14.2% ABV. $30 / bottle RRP. 3,200ft altitude vineyard on decomposed granite and clay-loam. Trellised not bush vines, because she can’t afford the more expensive (expensively farmed) bush. 78% whole cluster, wild yeast fermentation, foot-trodden 2 times / day for 16 days. Natural MLF in barrel. 11 months on lees in 17% new, French oak. pH 3.72, 13.8% ABV. $45 / bottle RRP. Biodynamic. Hand harvest. Whole cluster fermentation, daily foot-trodden, then 45 days maceration. Neutral French oak. pH 3.65 after fermentation. $40 / bottle RRP. Sand dune vineyard, planted 1999 and 2001, late ripening – November in 2015. Hand harvest. 50% whole cluster fermentation. $50 / bottle RRP. Ojai unusually buy fruit by the acre, not by the ton, which is more expensive in general, but provides more control and counteracts incentives to overproduce. Open top fermenters. 18 months in neutral French oak. 13.5% ABV $50 / bottle RRP. N: Chalky, slightly mousy aromatic entry. Some white pepper. Ripe, bold, blackberry fruit beneath with some sweet apple. Only non-Chardonnay or Pinot Noir block in Santa Maria Valley. Small proportion of whole bunch (maximum 15%). 19 months in 100% neutral French oak. 13.5% ABV. $65 / bottle RRP. Limestone crown of Hilltops blocks B5-7, at 2,400 vines / acre. 30% whole bunch fermentation without sulfur addition. Aged in 50% new, 500L French puncheons. 14.4% ABV. $55 / bottle RRP. 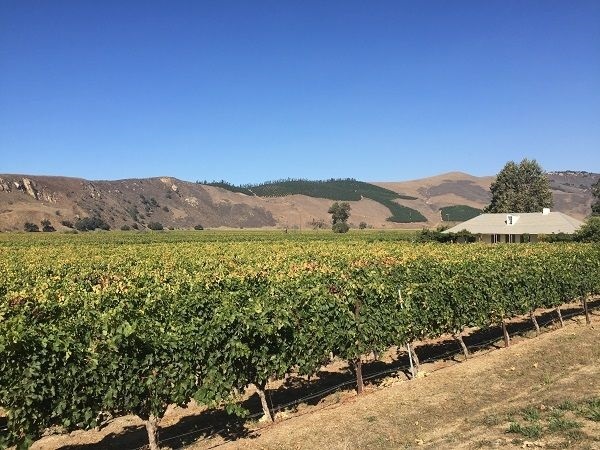 19 acres of the US’s 358 acres of Roussanne, hand-rotated 2-3 weeks before harvest, to get even ‘sun-tan’ – as the green grapes have little flavour, so would just dilute the overall impact. Only the oldest vines for L’Avion vs the Estate bottling. 90% Roussanne, 10% Chardonnay. Destemmed and crushed, then pressed. Wild yeast fermentation in 75% new, 500L French puncheons, to frame the fruit. 13.9% ABV. $30 / bottle RRP. Project from the owners of Screaming Eagle, adjacent to Stolpman, on sand. Michel Rolland consulting. 15% ABV. $?? / bottle RRP. Massal selection clones. Whole bunch fermentation with selected yeasts including Rhône D-254, in open-top fermenters, with 2-3 hand punchdowns / day. Pressed, settled and racked to barrel. 5.6 g/L TA, pH 3.7, 13.4% ABV. $55 / bottle RRP. Magnum. 100% Syrah. 11 months in 20% new French oak. 14.5% ABV. $90 / bottle RRP. A. 14.1% ABV. $30 / bottle RRP. Made by Ernst Storm, brother of Hannes Storm who makes Storm wines in South Africa, who I’d met a few days before in London! Aiming for a slightly funky, Crozes-Hermitage style. UCD1 clone on 101-14 rootstocks, planted on gravelly loam, 7 miles from the Pacific. Biodynamic. 6.2 g/L TA, pH 3.54, 13% ABV. $45 / bottle RRP. Fruit from 50:50 joint-venture between Stolpman and their viticulturalist, Ruben Solorzano. 80% Syrah, 20% Petit Verdot. Whole-bunch and destemmed fruit to give 40% carbonic maceration fermentation in stainless steel tanks. 9 months in neutral oak. 14.1% ABV. $22 / bottle RRP. Nicolas Miller, owners of Bien Nacido gave us a bus tour of the vineyard and introduced Santa Maria, before showing 3 of their own wines, of which the Bien Nacido Estate Syrah was particularly outstanding. 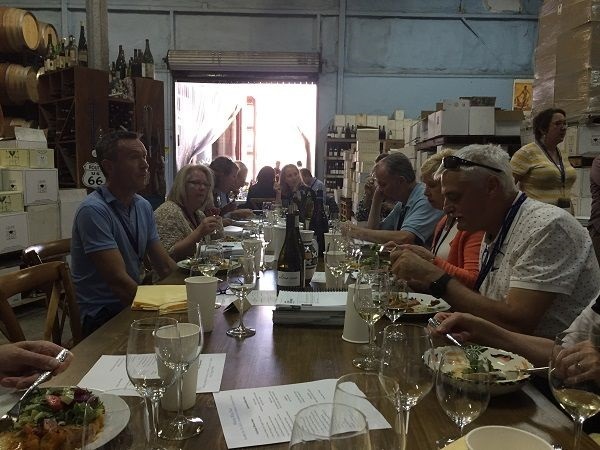 The vineyard has no public access, tasting rooms etc., so this was a real privilege, given the renown of the vineyard itself which, along with Sanford & Benedict is perhaps the most recognised, named vineyard on wine labels in Santa Barbara. Santa Maria Valley is the 3rd oldest AVA, and Bien Nacido is at the heart, planted 1973. The Miller family sell fruit to more other wineries who label with Bien Nacido than any other vineyard in the world – around 40-50 different people. Bien Nacido overall is 800 acres but only around a third is designated for vineyard-labelled wines. The vineyard has 3 zones – the flat valley floor, hillside plots and an intermediate, gentle, South-facing bench slope, they believe to be ideal for Pinot Noir. Nicolas’ father and uncle looked to diversify their farming from fruit and vegetables they were growing in Southern California. They found Santa Maria Valley as a cool enough zone for grape growing, falling into Region I on the Winkler degree-day scale. That made Pinot Noir and Chardonnay ideal. However a very long growing season permits Rhône varieties as well – harvesting Syrah up to 2 months later than Pinot Noir. Windy springs tend to mean low fruit-set for most varieties except UCD 4 Chardonnay that flowers early. Bien Nacido was originally planted on its own roots, so has 40+ year old Pinot Noir Pommard and Martini clones, planted widely to accommodate tractors. In that same plot, 777, 667, 114, 115 and other Dijon clones were then added later as interstitial rows, filling-in the previously-wide inter-row spaces, when some customers demanded Burgundy clones. This transformed the old block into alternate rows of older California and younger Dijon clones. Despite being in the same block, these are managed differently and often sold to very different customers – who get customised growing programs for their crops. Further, the Dijon clones were planted on rootstocks. Rootstock choices have varied with the preferences of different vineyard managers over the years. Vines are composted. Weed control and some fertilisation is supported by some sheep and cows to graze, inter-row. Trey Fletcher joined the Miller’s business in 2011 from Littorai, to make Estate wines for the family. Armit imports the wines to the UK and 67 Pall Mall are now listing them. Trey was attracted by the refinement and restraint of the region, having attended the In Pursuit of Balance conference not long before. Elder and Chamise shyla loams, with Pleasanton sandy loam on shale, UCD 4 planted in 1973 on its own roots. 40-50HL / Ha. Organic farming. Lots of leaves left on the vine. Acidities tend to be retained easily, staying at pH 3.1-3.2 between 11.5 and 14% potential ABV before drop-off. Hand harvest at night. Whole bunch press, wild-yeast barrel fermentation for 2-3 months, then MLF. 12 months on lees in 25% new French oak, 228L and 350L, then 6 months in stainless steel on lees. Moderate battonage to stimulate late part of fermentation. 7.5 g/L TA, pH 3.1. Unfiltered. 13% ABV. $45 / bottle RRP. 4 blocks. Elder and Chamise shyla loams, with Pleasanton sandy loam on shale, planted in the late 1980s. VSP but with wider, 8-12’’ width between wires for air circulation to reduce botrytis – daytime air temperatures around 26°C don’t disperse the botrytis so well. Hand harvest at night, 2 weeks before Chardonnay. 1/3 whole bunch. Wild-yeast fermentation in open-topped fermenters up to 31-33°C top temperatures, with 21-23 days on skins. Unracked to barrel for MLF. 16 months on lees in 40% new French oak. Unfiltered. 13.5% ABV. $65 / bottle RRP. 98% Syrah, 2% Viognier. 2nd planting vines on the mountainside with well-draining soils, with Viognier interplanted. Los Osos clay loam and Franciscan shale over marine volcanics. Hand harvest at night. Viognier destemmed and Syrah mostly not, then wild yeast co-fermentation with MLF. 16 months in 20% new French oak on lees. 13.5% ABV. $65 / bottle RRP. After the masterclass on the Miller family’s wines, we moved to their courtyard for a tasting of Bien Nacido vineyard wines made by a range of producers. That included Qupé, whose 2010 Bien Nacido Syrah switched me onto this specific vineyard as a special place. It was great to meet Bob Lindquist of Qupé and tell him so! The 2014 Qupé Bien Nacido Syrah again showed very well indeed, as did Au Bon Climat’s pretty classy Bien Nacido-sourced 35th Anniversary Pinot Noir 2015 alongside its unusual sister wine, the Clendenen Family “Bricco Buon Natale” Nebbiolo 2013 (“Bricco Buon Natale” of course being the Italian for Bien Nacido Vineyard…). Overall, the Bien Nacido vineyard showed very well indeed, confirming the impression I’d built up that it is an important place in Santa Barbara fine wines. 50% Pinot Gris from Bien Nacido Block 12, 40% Pinot Blanc, 10% Aligote. 24 months in Francois Freres French oak, then blended. 13.5% ABV. $35 / bottle RRP. Bien Nacido Block 11, clone 667 Pinot Noir, planted on a steep, South-west facing slope. Over 2 years in new French oak. ? ?% ABV. $75 / bottle RRP. Lampia and Miquet clones planted in Bien Nacido for the Clendenen family in 1994. Pruned to control yields and quality. Destemmed and fermented in 5-ton, open-topped fermenters with 2 punchdowns / day. 36 months in 33% new, 500L barrels, with 1 racking per year. No fining or filtration. 1 year in bottle, pre-release 13.5% ABV. $35 / bottle RRP. Planted 1973 with abundant limestone soils. 75% MLF. 10 months in 35% new French oak. 6.4 g/L TA, pH 3.27, 14.1% ABV. $56 / bottle RRP. First vintage. 777 on Q Block Chico rootstock, planted in 2002 at 12×5’ spacing. South-facing, 9-15% slope, with Elder shale loam. Whole-berry destemmed, then wild-yeast fermentation in open top fermenters for 14 days. Pressed, settled overnight then aged 18 months in 50% new French oak, without racking. 6.8 g/L TA, pH 3.52, 14.8% ABV. $48 / bottle RRP. 11 months in neutral French oak. 13% ABV. $35 / bottle RRP. 15 months in 15% new French oak. 13% ABV. $45 / bottle RRP. South side of the vineyard, with marine deposit soils on sand. Mt Eden and Pommard clones. 80% whole bunch fermentation – being reduced from historical 100%. 18 months in 50% new French oak. No fining or filtration. 5.13 g/L TA, pH 3.81, 12.8% ABV. $68 / bottle RRP. Pommard clone. 10% whole bunch fermentation. 11 months in neutral French oak, then 6 months in stainless steel tanks. No fining or filtration. 5.5 g/L TA, pH 3.75, 12.8% ABV. $62 / bottle RRP. ‘Custom’ block of Tablas Creek clone, on steep, West-facing, cool, sunny slopes, planted 1997. Whole-bunch pressed, cold-settled overnight, then fermented in 1-year old Francois Freres 228L French oak, followed by MLF then 12 months on lees. Racked, fined and to neutral French oak for 6 more months. 13.5% ABV. $40 / bottle RRP. ‘Custom’, Z-block, Southwest-facing, slopes, planted 1992. 33% whole-bunch fermentation in open-top fermenters with 2 manual punchdowns / day. 12 months in 60% new Francois Freres 228L French oak then, racked, blended and returned to neutral French oak for 10 months more. 15-barrel selection. 13.5% ABV. $40 / bottle RRP. Blocks G, N and Q, from the original 1973, own-rooted plantings, on Elder series shale-loam. Destemmed to 2-5 ton open-top fermenters. Wild-yeast fermentation starts after 4-5 days. Gentle punchdown and pumpover extraction. Pressed to tank for brief settling. 12-14 months on lees in 50% new oak, racked and blended, then 3-4 months more barrel ageing. No fining or filtration. 13.2% ABV. $65 / bottle RRP. Block W, from the original 1973, own-rooted plantings, on Elder series shale-loam. Whole-bunch pressed to tank, settled and wild-yeast fermentation started in tank, before transfer to 15% new barrels and puncheons for fermentation to complete. MLF. 10 months in barrel on lees without battonage, then 5 months in tank. Light filtration. 13% ABV. $50 / bottle RRP. Arriving at Au Bon Climat, which was very much an active winery that day! Some 60-odd MWs, winemaking legends like Qupé’s Bob Lindquist and Sanford & Benedict founder, Richard Sanford descended on the ABC winery for lunch, taking over the whole of the flat space between barrels, cases and offices. Even more remarkably, Jim Clendenen cooked the lunch, using a lot of estate-grown vegetables. Of a pair of extra wines, the 2000 Hitching Post Pinot Noir outshone the 2001. Planted at 6x10ft spacing on Southwest and North-facing, limestone soils, on St George rootstocks, in 2004 and 2007. Whole-bunch pressed, then settled overnight, before transfer to neutral barrels for wild-yeast fermentation then MLF. 6 months in neutral oak and stainless steel. Blended. Very light filtration. 6.1 g/L TA, pH 3.28, 12.7% ABV. $35 / bottle RRP. Magnum. 76 and 96 clones in 4-acre Bien Nacido K Block, estate farmed since 1990. 14 month fermentations and equivalent for MLF. 7 g/L TA, pH 3.4, 14.5% ABV. $?? / bottle RRP. Long fermentation of a minimum 1 month. 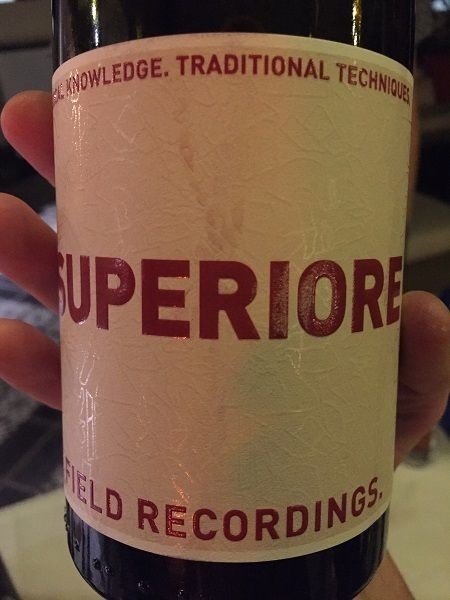 Extended barrel age. ? ?% ABV. $?? / bottle RRP. Magnum. 115, 667, 777, Jackson and Swan clones mainly in Bien Nacido Block 11, planted 1998, plus some Le Bon Climat fruit. Spur pruned and irrigated. Destemmed whole berries in 1,000 gallon, open-top fermenters, for 2-day cold soak. Inoculated to start fermentation, with 2 manual punchdowns / day. 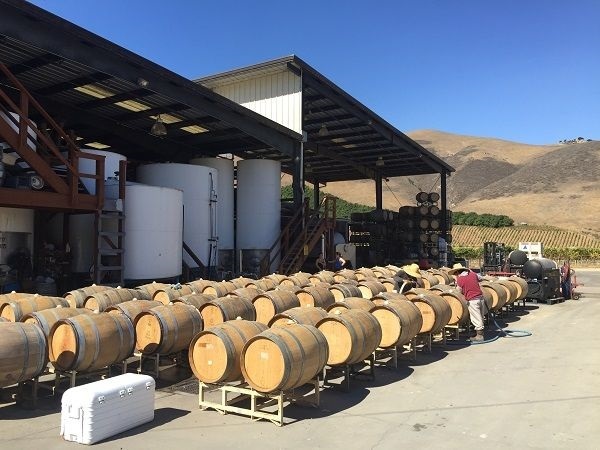 Pressed to barrel with minimal settling, then 18 months in 75% new Francois Freres oak. ? ?% ABV. $?? / bottle RRP. ‘Custom’ block of Tablas Creek clone, on steep, West-facing, cool, sunny slopes, planted 1997. Harvested in 2 lots. Whole-bunch pressed, cold-settled overnight, then fermented in 1-year old Francois Freres 228L French oak, followed by MLF then 12 months on lees. Racked, fined and to neutral French oak for 6 more months. 13.5% ABV. $40 / bottle RRP. Considered at the time to be a relatively unpromising vintage, which has surprised them over time. ? ?% ABV. $?? / bottle RRP.